Is your child tired of those “boring” birthdays? Have you had enough bounce houses and chocolate fountains to last you a lifetime? How about something exciting for your child’s birthday this year? Hire Kids Party DJ Buffalo – DJ from DJ Johnny K Sound System!! Your child will be a hit with all their friends and relatives! This is a full service Kids Party DJ! 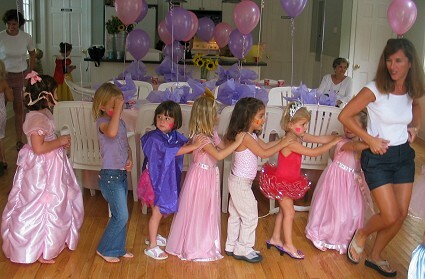 Kids Party DJ, specializing in fun dance parties for children up to 13 years of age. Our party packages include music, games, and non-stop fun! 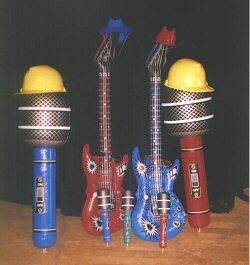 Add some karaoke, decorations and props from our Party Store, and you’ve got a fun party! You can even contact us if you need some ideas for that special birthday party! DJ Johnny K Sound System will give you a party you and your child will never forget. We have three different packages that fit every budget. Pick the right one that fits you! All party packages subject to availability! PLEASE NOTE: DJ Johnny K Sound System books parties on a FIRST COME, FIRST SERVED basis. Prices listed below are for our services only. Silver Party Package – $255. Our silver party package has minimal setup time required. It is available Monday through Thursday (between 11 AM and 9 PM). One hour of non-stop music and fun! Silver Party Package is not available on Friday or Saturday evenings. Gold Party Package – $335. Our gold party package give you a little more time and a little more flexibility. It is available Monday through Thursday (between 11 AM and 9 PM) Fridays, Saturdays & Sundays (between 10 AM to 1 PM). One and 1/2 hours of non-stop music and fun! Our platinum party package is for parents who want more entertainment and games for their child’s party. It is available Monday through Thursday (between 11 AM and 9 PM) and Fridays, Saturdays & Sundays (between 10 AM to 1 PM). Two fun filled hours of non-stop music and more! *Gold or Platinum Party Packages, add $150. to the prices listed above or evening Friday/Saturday/Sunday evenings. Kids Party DJ Buffalo Call (716) 472-9898 for Information! We have some great add-ons that can add more fun to your party. These add-ons are only available with a Gold and Platinum Party Package. One Special Lighting Effect and Small Disco Ball – Great for “disco” themed parties; $75.00 additional. Available for all party packages. Full Lighting and Mirror Ball – $145.00 additional. Available for Gold and Platinum Party Packages only. Karaoke – Our Karaoke list for Kids Parties include songs for all ages. Make your child and their friends stars! $150.00 additional. Available for Platinum Party Packages only. Recommended for children 10 and up. Are you interested in something more for your child’s party? We can custom design a party package just for you! With all our packages, there is no minimum to the number of guests at your party. However, all prices are subject to change without notice. These prices are only good on children’s birthday parties (ages four and above) Kids Party DJ Buffalo is here to entertain! schools, wedding receptions, and adult parties are not included in these prices. Check our availability or call (716) 472-9898 to book your show today!